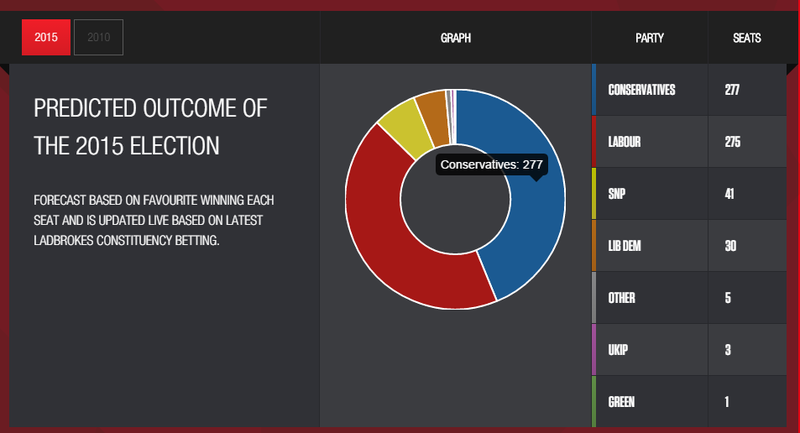 ← How many seats will UKIP win? One of the consequences of Wednesday’s Ashcroft constituency polls was to see Labour move into favouritism in the key marginal of Harrow East. That, in turn, meant that Labour moved in to within two seats of the Tories in the live Ladbrokes forecast, based on the current favourites in each of our individual seat markets. The so-far encouraging poll news for Labour today might see them cross back over into the lead, if subsequent surveys back up what looks like a slight shift away from the Tories. 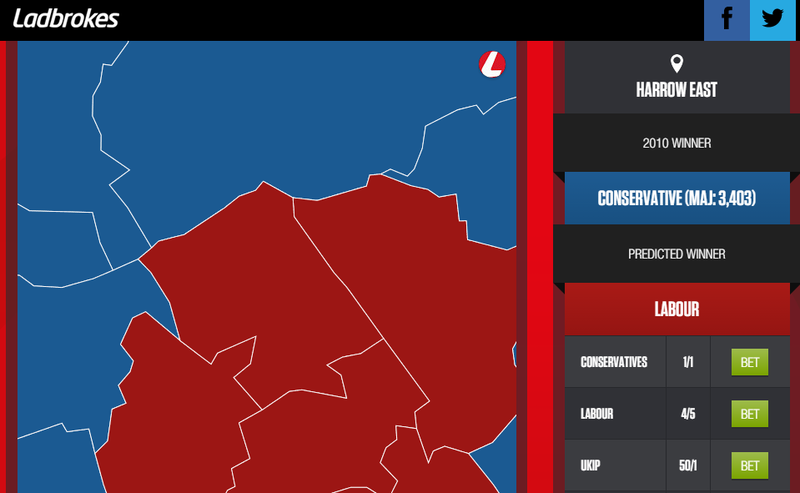 You can find election betting maps for every seat, as well as the live forecast on our microsite.